Last year, in all of 2018, I finished one short story. One. (Granted, I wrote a lot of words on other things. Game design, mostly, because that’s my day job, and because deadlines (especially Kickstarter-promised deadlines) don’t wait for nobody.). But fiction is my everything. The beat of it lives inside me like a second heart. And I’ve never had a year in which I wrote so little of what keeps me alive. Looking back, it was for all the reasons that many of us are struggling with: personal trauma, world trauma, the press of time and social media and deadlines, health issues, family issues, so much more. It was like 2018 (with 2017 rolling up in a close second) was the year in which all of the monsters came alive, toyed with us for six or eight or twelve months, and then ate us. So there’s a part of me that is so grateful that I finished even one story. I’m going to talk more about setting (and reaching for) goals later, but for now, I’ll just say that after last year’s awfulness, this year I have plans for making lots of things. This Patreon was one (and your support is another—because self-care is easier when others help you along the way). The stories and novels I’m working on are others. I’m trying my hand at singing and drawing (I am bad at both, but the goal is to practice for practice’s sake, for immersion’s sake, not because there’s a skill level that I hope to reach). I am taking more photos. And baking is my new (renewed) passion for the moment (this is largely the fault of Tasty, which shows the best baking videos). But back to the one story that I wrote last year. It’s a story that came out of my sadness and pain at everything happening in the world, but particularly out all of the school shootings and street shootings, all of the young people we were losing much too early. I lent the story my voice, my siren-song of anguish, and “Salted Bone and Silent Sea,” was born. 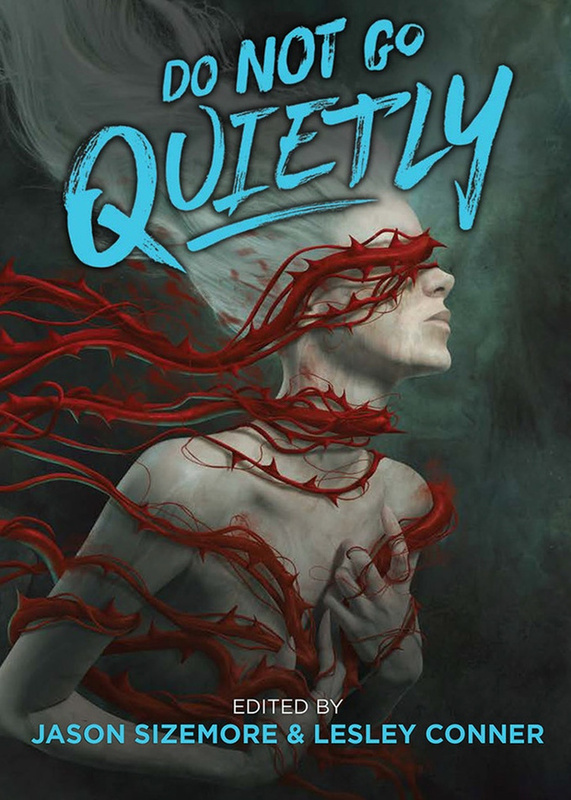 I’m so proud to say that it was just accepted for the fantastic anthology, “Do Not Go Quietly: An Anthology of Victory in Defiance.” And I’m really delighted to share a table of contents with some of my favorite authors, including Brooke Bolander, Cassandra Khaw, Seanan McGuire, Catherynne M. Valente, and Fran Wilde. Hello, lovelies! Have you missed me? You have, haven’t you? If so, you can read the rest of this post (including an excerpt from “Salted Bone and Silent Sea”) right now over on my brand-new Patreon for free. I likely won’t be blogging here much at all this year, so that’s the place to be if you want to hear good things from me! Why a Patreon? I talk about that a little bit here too—connection, inspiration, and a way to say yes to more of what I love. If you want to help support my writing and journey, you can do so for as little as $1/month. Or jump in for higher to get writing prompts, inspirations, market ideas, thank yous in the acknowledgements, and more. I’ve moved Callooh! Callay! there too—I know a lot of you mentioned you were sorry to see it go, so I’ve brought it back in this new place. I hope your 2019 is everything you dream of, and so much more. Stay strong. Be fierce. Do the words!